KALIS, KLEIMAN & WOLFE Partner Tami R. Wolfe has been named President- Elect of the Rotary Club of Davie-Cooper City. DAVIE, Fla. - Dec. 8, 2017 - PRLog -- KALIS, KLEIMAN & WOLFE Partner Tami R. Wolfe has been named President- Elect of the Rotary Club of Davie-Cooper City. Ms. Wolfe currently serves as a Club Director of the Davie-Cooper City Rotary – Rotary District 6990. The club's mission is about honoring Rotary's goal of "Service Above Self," as demonstrated by the number of service projects that they have implemented to serve the local community and internationally. Ms. Wolfe, who has a strong record of community involvement,is an experienced trial attorney who devotes her practice to personal injury and wrongful death (http://www.kaliskleiman.com/Personal_Injury) cases including automobile accidents, premises liability, negligent security, catastrophic injuries, spinal cord injuries, nursing home liability and medical malpractice (http://www.kaliskleiman.com/Medical_Malpractice). She also handles Qui Tam / Whistleblower cases. The Rotary Club of Davie-Cooper City was formed in 1971 by a small group of committed business and community leaders who provide humanitarian service, encourage high ethical standards in all vocations, and help build goodwill and peace in the world. To learn more about the Rotary Club of Davie-Cooper City visit www.daviecoopercity.rotary-clubs.org/. The law firm of KALIS, KLEIMAN & WOLFE focuses on Real Estate Transaction, Commercial Litigation, Personal Injury and Medical Malpractice Law. The firm was founded in 1996 and is headquartered in Davie, Florida, at 7320 Griffin Road, Suite 109and may be reached at 954.791.0477. The firm was founded in 1996 and is headquartered in Davie, Florida, at 7320 Griffin Road, Suite 109and may be reached at 954.791.0477. 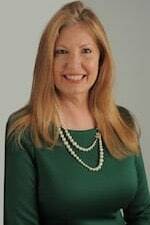 Additional information about attorney Tami R. Wolfe (https://www.kaliskleiman.com/tami-r-wolfe.html) or the law Firm of KALIS, KLEIMAN & WOLFE may be obtained from the firm's website at www.kaliskleiman.com.